This scene is familiar to many of you, I’m sure. An expert speaker, a slideshow, a conference room. But the topics… now that is what made this weekend exceptional. 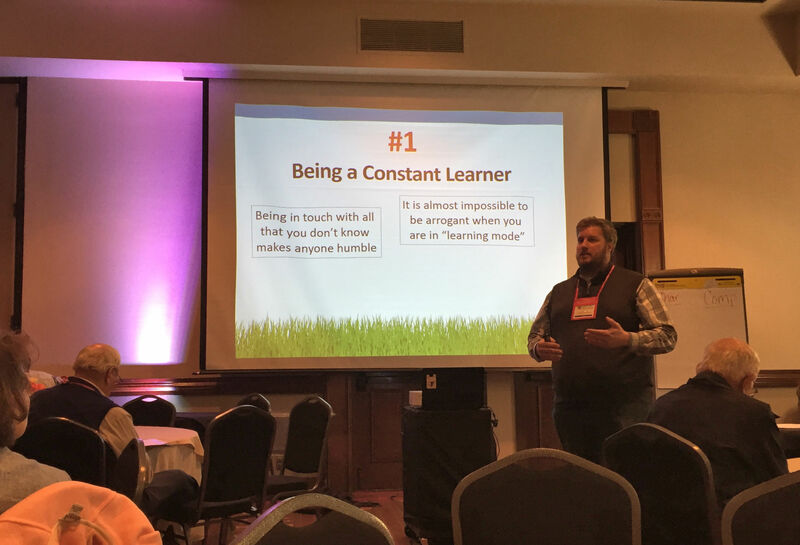 Here, Scott McLeroy talks about humility’s role in leadership. I have spent entirely enough time in conference rooms lately. A Cherokee Leadership conference (CCO=Community & Cultural Outreach) is exciting, yes, but also such a change from my regular life. Those clucking hussies, the hummingbirds, and my evening deer and coyotes seem so far away from me right now. And what I wouldn’t give to have my kitty curl up on me at night in this hotel bed. Janelle Adair’s storytelling had me in tears. This is an ancient form of leadership teaching, and the effect, perfected over thousands of years, has an undeniable impact on the audience. I think all corporations should bring in storytellers. The exchange is worth it, however. 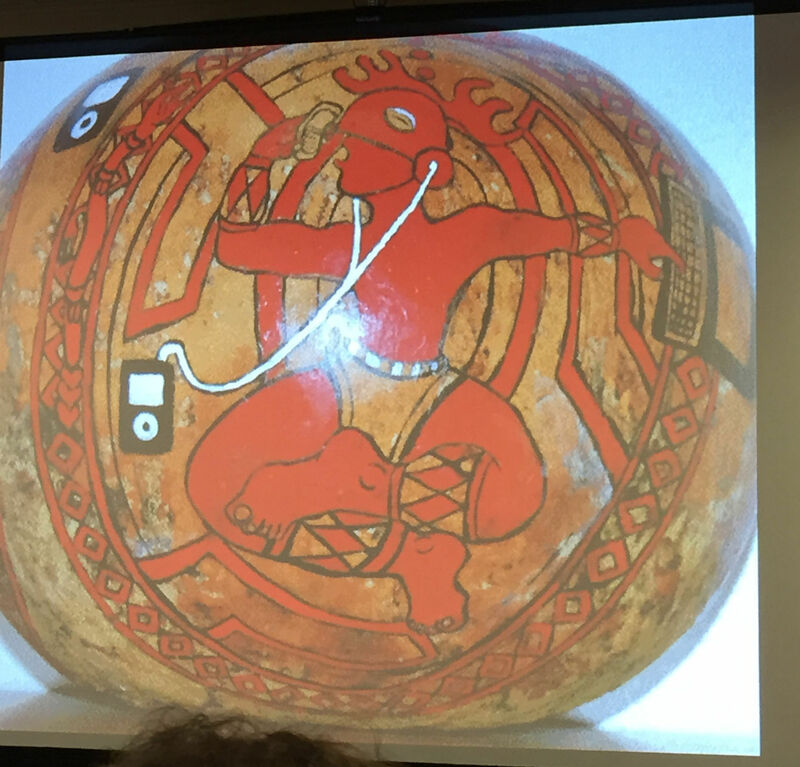 I am learning as much in this weekend of workshops about my Cherokee people than in the years I’ve been attending Cherokee meetings. I was hoping this would happen when I had some immersion. For example, I walk the hallways between breakout sessions, and overhear groups of people talking in Cherokee. An unhesitating give-and-take the way people really speak a language (not the way they demonstrate, or practice a language, if that makes sense), with building or falling intensities and spontaneous laughter from everyone listening. (We’re Cherokee, and that means there are jokes being told.) It’s precious, you know, being able to hear your language spoken. I only realized that truth once I spent time in other countries, and then felt the relief of hearing recognizable sounds again, once I came back. Just imagine being a people whose language was dying out. It’s a scary thought. Luckily, the Cherokees are aggressively working to keep the language viable. 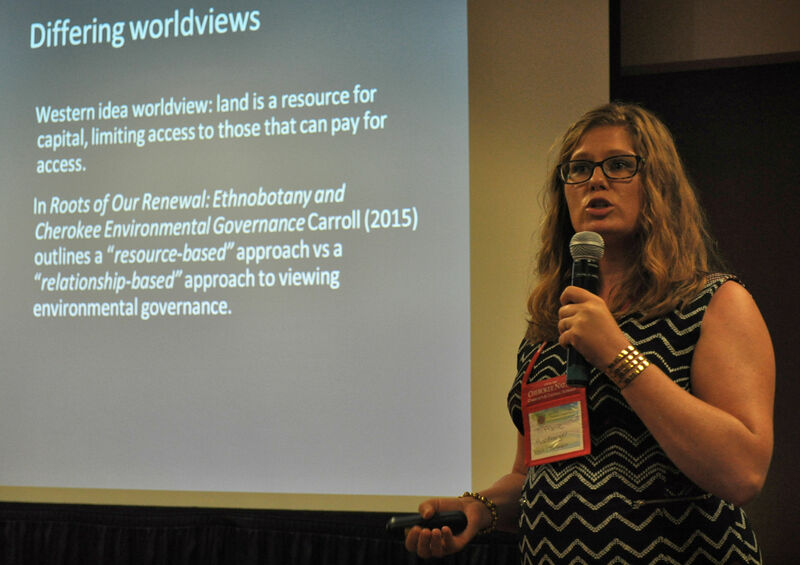 Dr. Tiffanie Harbarger talks about Cherokee relationships to land and water. 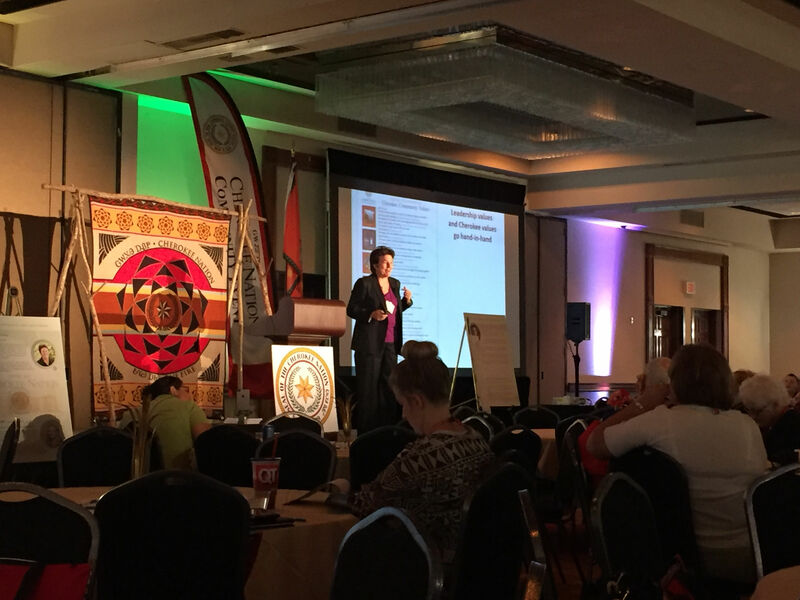 Every speaker is a Cherokee and/or Cherokee expert, and they keep saying things to reinforce our culture. Like I said above, “We’re Cherokee, and that means there are jokes being told.” I learned this to be true by spending time with Cherokees, and seeing it demonstrated, but also hearing people tell me the lesson over and over: Cherokees are always kidding around. Earnie Frost told us about his journey to self-awareness, and how he turned his lessons into ideas for how to revitalize the Cherokee community. In this way, I’m also learning what a matriarchal society is. Of course, I studied it in my anthropology classes, so I know what it is. But book learning doesn’t lay out in real-world examples what it actually means to be a matriarchal culture. Traditionally Cherokee men moved in with their wives’ families, and the children and possessions and home belonged to the wife. At any point, for any reason, the wife could divorce the man by placing his belongings outside the home. Women had a lot of power, but a lot of responsibility, and the weight of keeping the family together rested on the shoulders of the women. 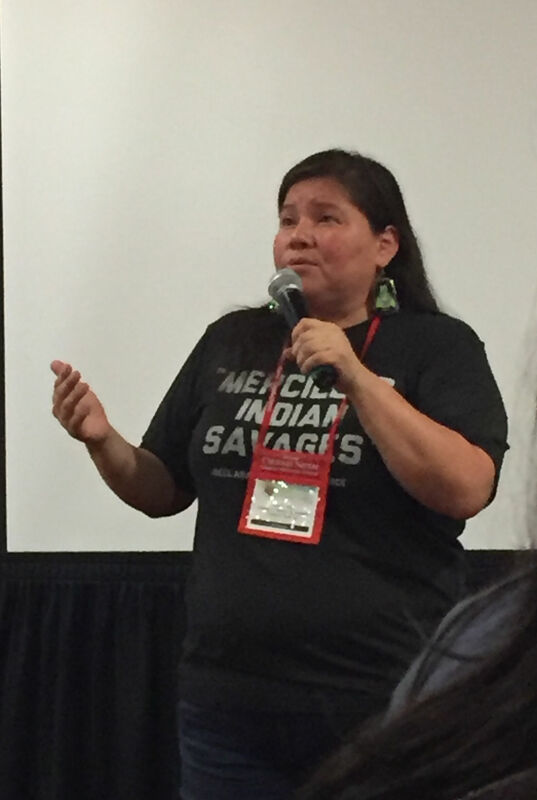 One man told a story about trying to build a re-integration program for Arizona Indians, and met with failure until his female secretary berated him for not involving the women, and following their direction. Several people talked about going to Standing Rock, and talked about how women were/are instrumental in that movement. I hadn’t even thought of it before, unconsciously mentally erasing women from power and action, when it turns out they were the source of power. 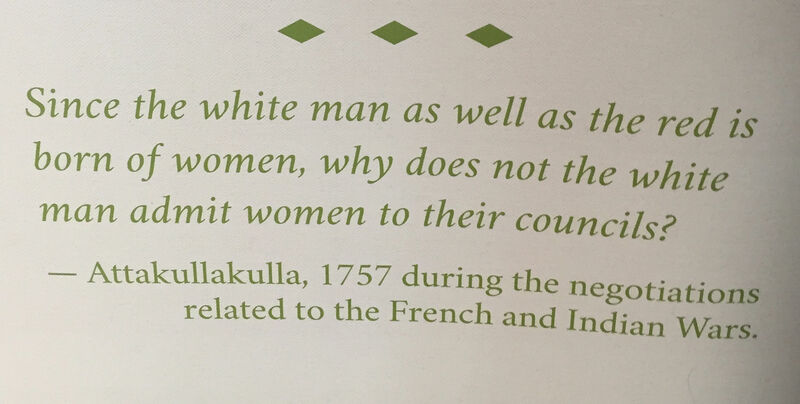 One speaker explained that when treaties were being discussed, the Europeans didn’t trust the Cherokees who included women in their business talks, and the Cherokees didn’t trust the Europeans who never brought their women. They didn’t bring their women, they wondered, what are they trying to hide from us? I heard about the pensions offered to wounded Indians who fought in battles for the US Government, and how the Indians were confused about the idea of widows and orphans being offered pensions for men who died in battle. They did not grasp the concept of women being victims when a man died. They did not understand the concept of orphan, because the children belong to the mother’s clan. Even if both parents were not living, the child belonged to the clan, and was not an orphan. Thus, when the pensions were offered anyway, and women went to collect for themselves and the children of their clan, their petitions were often denied. US officials sometimes knew very well that the woman herself did not birth a particular child, so how could she be so audacious as to try and claim a pension for the child’s fallen father, a member of the clan? Likewise, a man would go to do his duty to his wife’s clan, and seek to collect a pension for a fallen brother, related by clan, not by blood, and the federal officials were again confused. 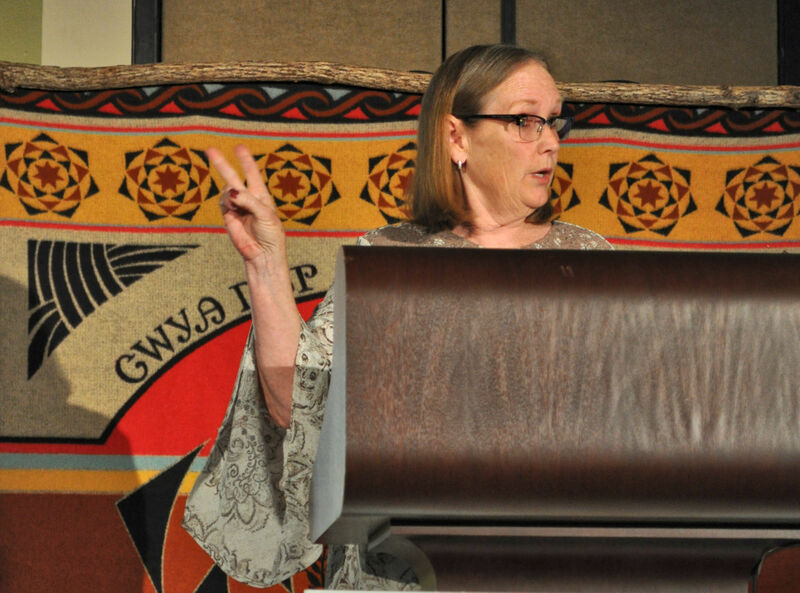 My favourite speaker of them all was Anita Finger-Smith, who talked in great detail about the circumstances that resulted in the Eastern Band Cherokees remaining in their homeland when so many others were removed to Oklahoma. Many speakers talk about water. “As Cherokees, we consider our water to be sacred. It’s not just what we use to clean ourselves, but we drink it, we grow crops with it, we cook with it. Water is in every part of our life and makes up who we are.” Now, these things are true for every human. But when it’s said to you like that: “As Cherokees, we value water…” then you can’t help but assign a greater significance to the things you’ve been doing with water since you were born. Joseph Erb, my new favourite Indian artist. Rob Daugherty introduces Chris Welch. Our keynote presenter was Tracy Spears, author, co-founder of a leadership organization, and softball player. I don’t think I’ve made my point as clearly as I wanted to, but I hope with these examples you get the idea. I am learning so much good stuff about this important part of who I am. I am sad that I wasn’t raised with this teaching, but I am so grateful to belong to a Nation that works so hard to provide me the opportunity to learn, now that I have decided to educate myself. Today we are leaving Tulsa and heading off for some touring! We’ll visit museums, cultural centers, and points of significance for Cherokees. We’re finally heading to Tahlequah, and the center of Cherokee government. I finally get to see some of Oklahoma besides this city block in Tulsa. I promise to take photos and post when I can. You are right, Curt. It is so valuable. I think I’d like to do a conference just like this about every 6 months for the next couple years, ha ha! I was thinking how much I’m glad I blog, so that I will record some of this learning, and then be able to access it again later. I am tempted to try and re-create each session I attended, just because I want to be able to tell others what I just learned. But that is unrealistic, and I need to trust that good stuff is getting lodged in my brain and changing who I am. I’m glad you are getting so much out of this. Change of pace is good for everyone and it does accentuate what you most enjoy about being at home. I am getting much out of this experience already, and I’m only halfway through. I think my kitty and the chickens may forgive me eventually, and the change of pace is good for me. Mostly, I love not having to stress out about getting points at work for a week. Whew! It will be fun sharing more with you as I finish out my week. I may drop off the radar for awhile when I get home, because it’s time to publish the Mt. Hood Cherokees newsletter, and I haven’t even started yet. Yeeks. Is there anything you want from Indian country? Nothing I could think of but thank you for asking. Glad you are taking some time to relax. Excellent reportage, and very informative. You write well. Congratulations. This has been a very interesting post, and I’m grateful that you shared it. As strange as it may sound, it never occurred to me that the Cherokee language was dying off! I’m happy to hear that the community is working to make sure it survives. I love the notion of community, and the way you discuss it in this post warms my heart. Wade, thank you for stopping by and for commenting. Yes, some of the statistics I’ve heard in the past week have been scary. One person said that a few years ago it was decided to methodically track down every single fluent Cherokee speaker. So they did, and collected all the names they could find. Then, listened to news and watched obituaries and realized they were losing 30 speakers a month! That’s a crazy attrition rate. 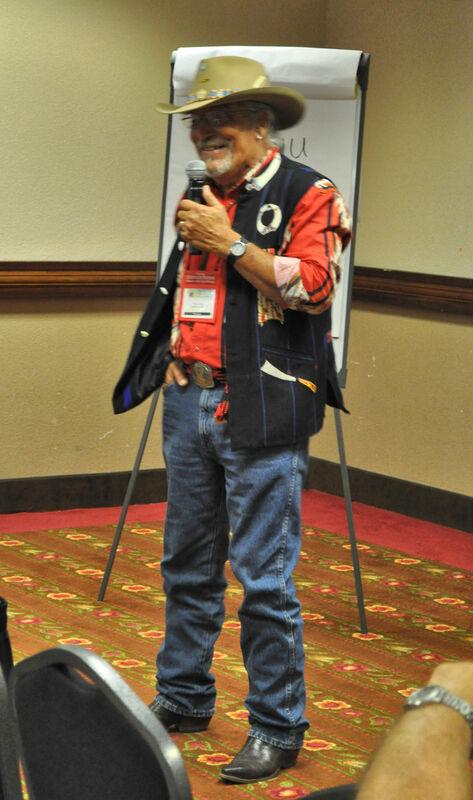 Cherokee Nation leaders went into panic mode and began brainstorming ways to bring it back to life. There is a brilliant immersion program just barely begun, and the 3rd cohort of students has started the two-year adult, full-immersion Cherokee language program, where students don’t speak anything but Cherokee for 8 hours a day, 5 days a week, every single week for two years. Great success stories coming from this program already. This is truly precious. “They didn’t bring their women, they wondered, what are they trying to hide from us?” What, indeed? The whole Western civilisation is suffering or this reason, for not bringing (enough) women. You are so right! As more women scientists, and Western scientists in general, challenge the idea that men make history, we are discovering more and more how much women were/are hugely influential in discoveries and changes and advances for human kind. It’s worrying that so many people around the world still feel that woman can’t contribute as much as a man, and maybe it’s getting worse in some places. But I try to focus on successes. One success is that the Cherokee Nation is proud to be a traditionally matriarchal society. 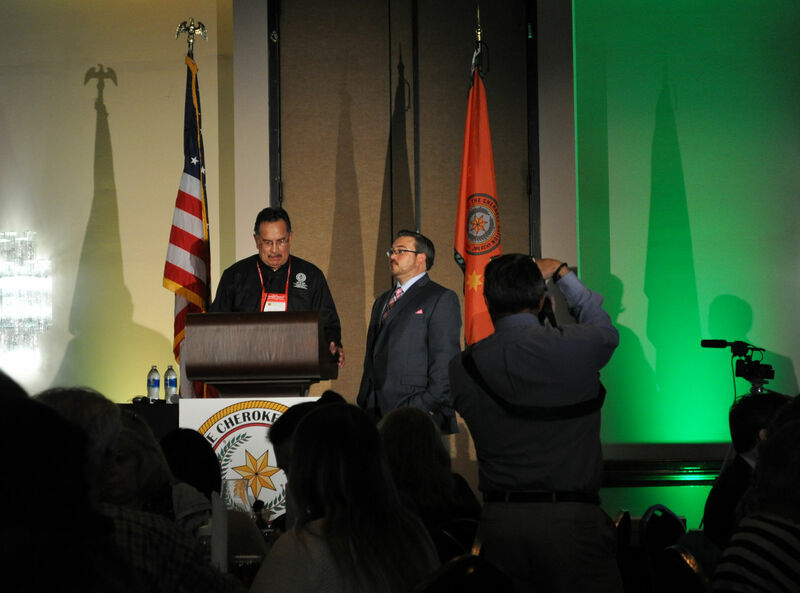 I was delighted to hear so many men – including those in leadership positions – among the Cherokee, talking with pride about how they are embracing the matriarchal society, and practicing actively valuing the contributions of the women in their lives. Ah, I should have read this one first, and I see that you’ve been able to immerse yourself in your family. I’d love to hear the language being spoken. I’ll have to search for a link. Of course, I love your discussion of the matriarchal society. Very cool thing: the Cheokee Phoenix is the main newspaper of the Cherokee Nation. The paper has some articles side by side English and Cherokee, and the online version has audio of the articles. This is to help people practice it. Also, there are QR codes in the paper that you can scan with your phone and get the audio. The Nation has *so* much media online, that I’m sure you could find an example of conversation. There are lots of Cherokee language clips available too. It’s intentional; all part of the push to keep the language alive.